Style up this year’s Easter dress. 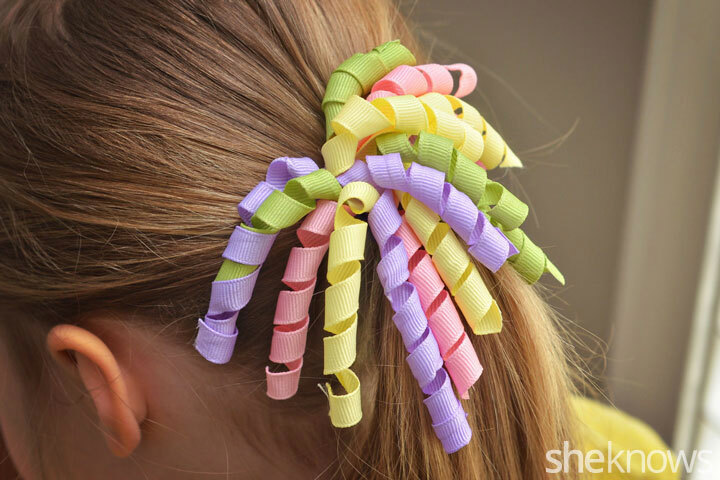 Learn how to make your own curly ribbon hair bows for the little ladies in your life. Preheat the oven to 275 degrees F. While the oven preheats, wrap the ribbon tightly around the wooden dowels. 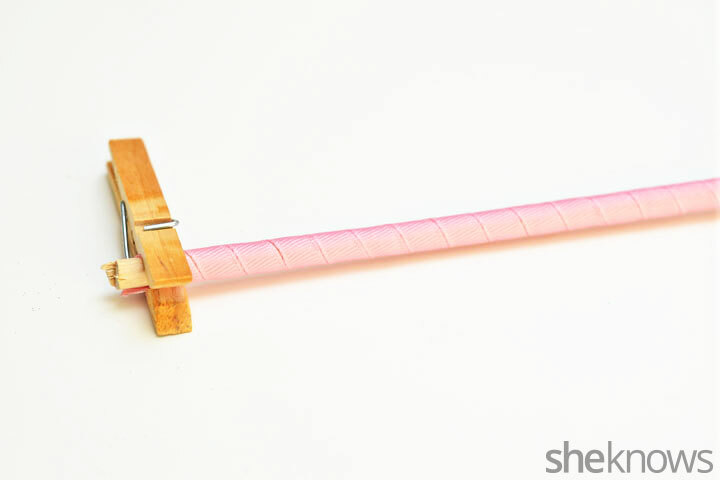 Use clothespins at either end of the dowel to keep the ribbon in place. Place the dowels of ribbon directly on the rack in the oven. Leave them in the oven for 30 minutes, then turn the oven off and let them cool while still in the oven. Once the ribbon has cooled, you will have a fun and curly ribbon. 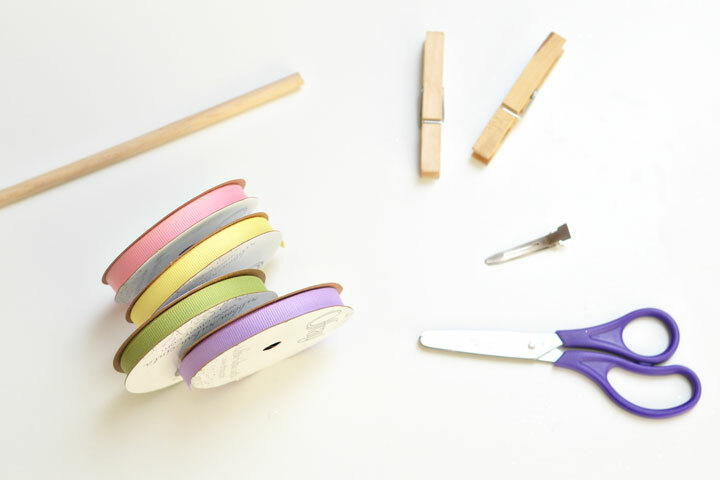 Cover the alligator clip by gluing one of the colors of Grosgrain ribbon to the clip. 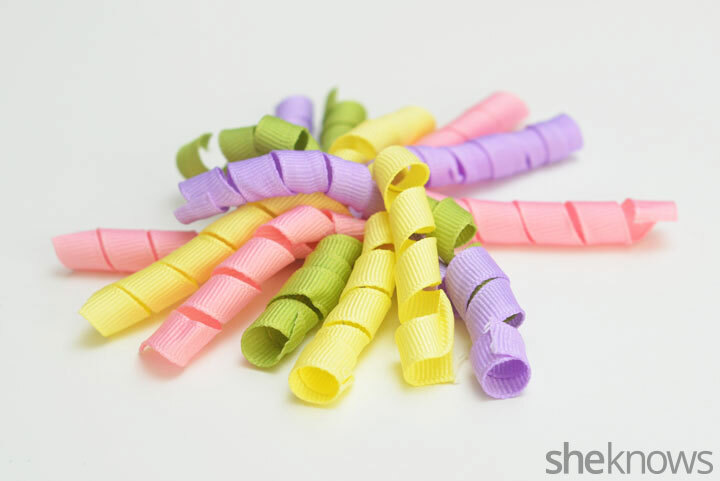 Cut the curly ribbons into 4-inch length pieces. Layer them on top of each other, putting a dab of hot glue between each layer. 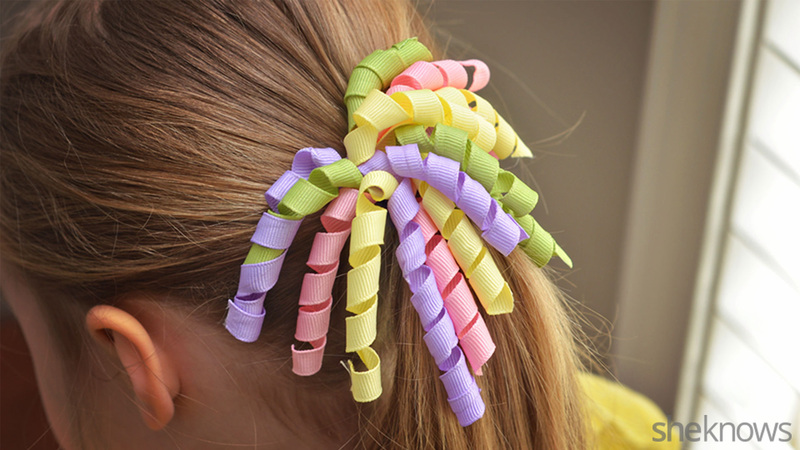 Glue the bundle of curly ribbons to the top of the alligator clip. 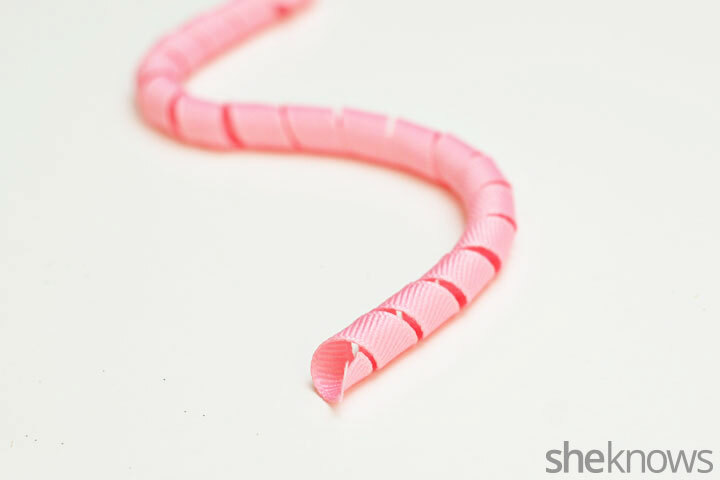 Take a small piece of ribbon and wrap it around the center of the bundle, gluing it to the inside of the alligator clip. 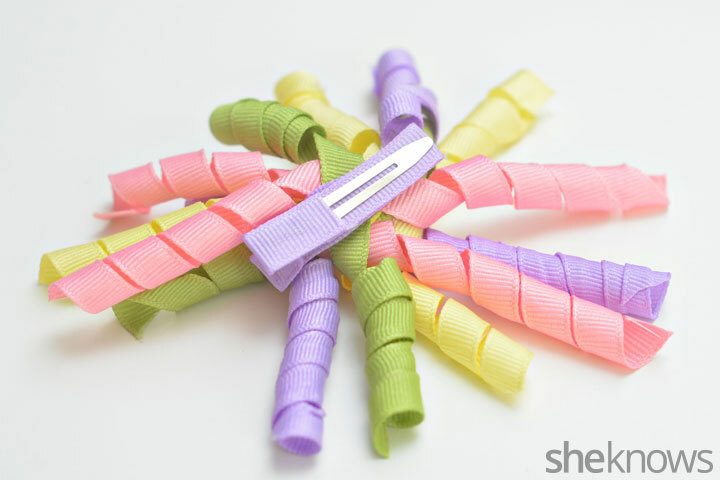 Once the glue is dry, your new curly ribbon hair clip is ready to wear.